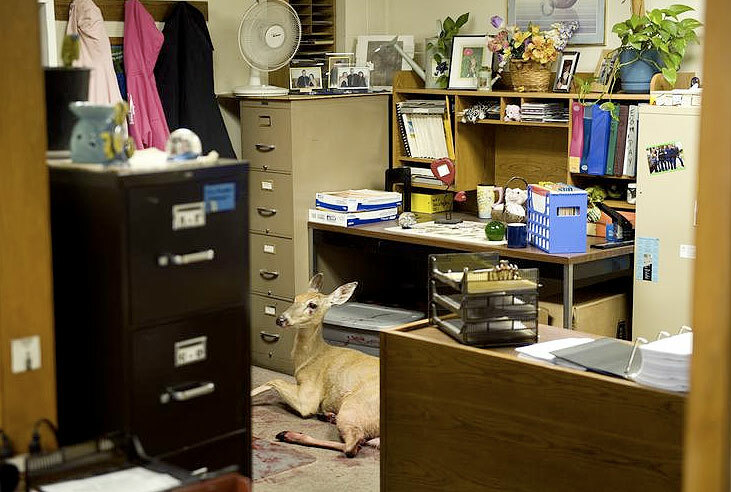 A window pane to a residential and commercial HVAC business in Peoria didn't do a very good job of "filtering" out two deer that crashed through the glass and into the offices of DP Filters according to Peoria Journal Star. Both deer thrashed about and caused quite a ruckus until animal control officers arrived and tranquilized them. The animals were eventually euthanized as a result of injuries sustained during the ordeal. There's no word yet on whether Petersen's HUNTING staffer Skip Knowles is going to inquire about their backstraps. More pics and the entire story are available at the Peoria Journal Star.